With sales dropping even faster of the Australian Ford Falcon, Ford has let go an additional 212 workers on top of 118 voluntary departures at the Broadmeadows (headquarters, assembly for Falcon, Fairlane, customer service division, training center, research and design) and Geelong (casting, engine, stamping and product engineering) facilities. Another 110 employees were also moved to other jobs in the company. This was 20% of the local work force. This after Ford received $34M AU in January 2012 in what Prime Minister Julia Gillard said at the time would create 300 jobs. This apparent inconsistency has caused many to question the resolve of the current Government. 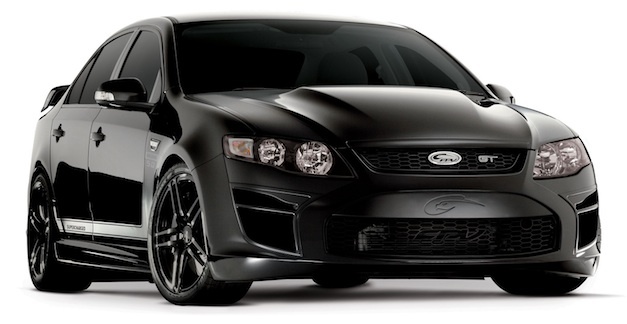 Earlier this year Ford teased 2012 Sydney Motor Show attendees with a quick glimpse of a “new” Falcon for the 2014 model year. Whether this is truly an all-new design or simply a “top hat” redesign is unknown, although the lack of product development funds would suggest the latter. In the meantime, with declining sales of the current Falcon, fewer workers are needed. The Falcon is designed for the right-hand drive Australian market, and very small numbers are exported to New Zealand and South Africa. The car is not designed to meet North American standards and would need a resign and considerable investment for export into our uncertain market. This as Lincoln is reportedly considering reentering the rear-wheel drive market with a new product built on 2015 Mustang mechanicals. Whether there is any intersection in the platforms of these three cars is unknown, but platform sharing is the heart of the “One Ford” methodology. Ford’s (international) 2 liter EcoBoost 4 cylinder and (North American) 5 liter V-8 engines (with a locally built supercharged variant) are used in the Falcon, along with a locally produced 4 liter inline DOHC 6-cylinder that traces its roots back to the North American OHC inline 6 of the early sixties. An effort to replace this with the far more modern 3.5 and 3.7 liter DOHC V-6 engine line was put on hold in order to keep a locally produced engine available, along with jobs for its workers. Holden, the Australian subsidiary of GM, is faced with similar declining sales issues but had invested heavily in designing a more modern and flexible platform that is built in both left- and right-hand drive models and can therefore be exported more widely (particularly to the Middle East). The Pontiac G8 was simply a rebadged Holden Commodore [download brochure] and had a brief stay in North America before GM fell into Chapter 11. The upcoming 2014 Chevrolet SS sedan is the same car again, with minor updates along with the next-gen direct-injected V-8. The same Holden chassis is also used for the current Camaro but is due to be replaced with the more modern Alpha chassis in 2016.